Enjoy this well laid out home with Family. 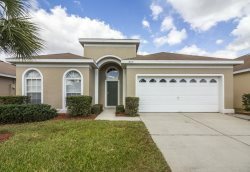 Newly furnished and renovated home in quite community close to Disney, shopping and local attractions. Great location. Private fenced backyard area with pool and screened lanai area to relax and unwind. Super clean and well kept. A private oasis awaits your company!